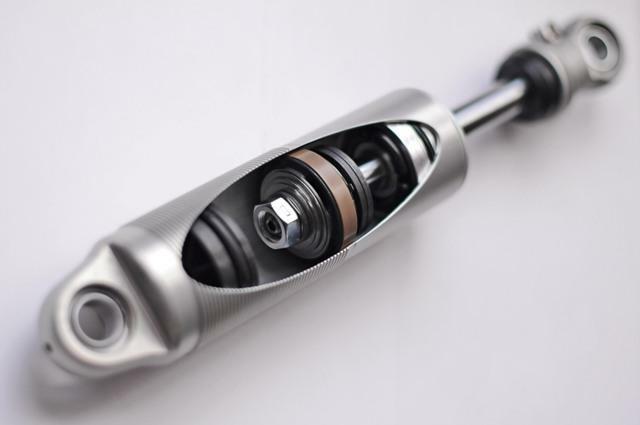 The new Ride Tech R-Joint combines the best qualities of low friction movement, lateral stability, full range articulation, and quiet operation into one special bearing that is as home on the street as it is on the racetrack! Articulates in 3 planes. 360-degree axial rotation and 30 degrees of total lateral rotation. 17-4 Investment Cast Stainless housing with rolled threads. Polished stainless ball and Delrin AF cage allow consistent low friction movement. Special Delrin AF compound needs NO lubrication. Self-cleaning design with movement not affected by ANY water, grit, dirt or debris. Spring loaded closure to keep mechanism tight and rattle free for LIFE! R-Joint with 3/4″-16 Right Hand Thread 90002771 $80.00/ea. 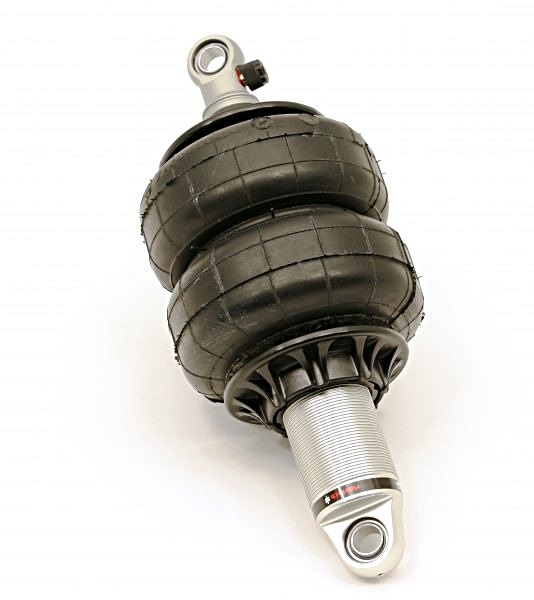 R-Joint with 3/4″-16 Left Hand Thread 90002772 $80.00/ea. 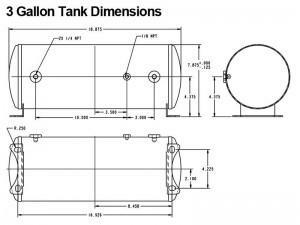 Weld-On R-Joint 5/8″ I.D. 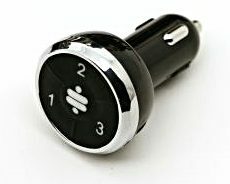 x 1 3/4″ Width 90002773 $45.00/ea. Ride Tech Coil-overs feature Monotube gas pressure design offers superior fade free performance, Impact forged aluminum body provides superior strength and reliable service, Larger 1.834″ piston provides outstanding ride quality, Double sealed rod guide with dust cover eliminates oil leakage, 5/8″ chrome shock shaft, Anodized finish protects against corrosion, CNC machined billet hardware, Unique pinch clamp height adjuster uses finer thread for easy adjustment. 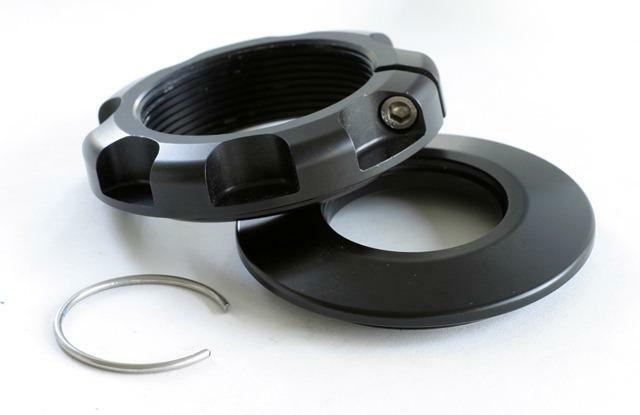 Includes 1/2″ bore x 1″ Kevlar lined bearings for noise free operation. 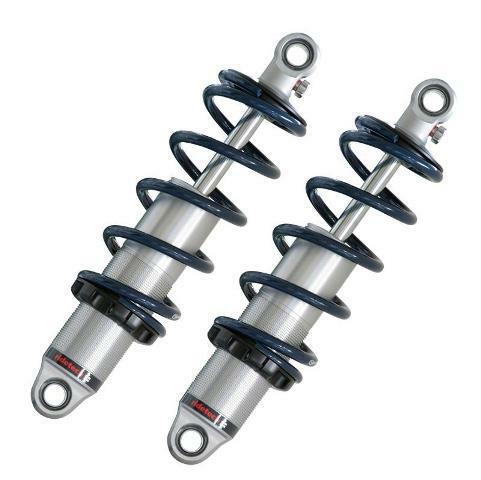 Available as HQ that allows rebound adjustments to the shock or TQ with single rebound adjustment and dual stage (high speed & low speed) compression adjustments. 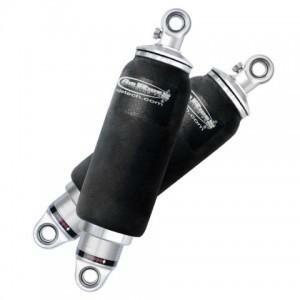 We also offer a one time exchange on springs to fine tune the quality of your suspension. 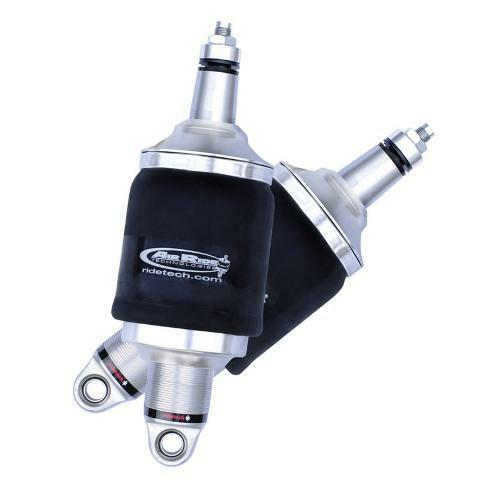 HQ coil-overs, rebound adjustable Starting at $720/pr. TQ coil-overs, rebound adjustable, dual stage compression Starting at $2,120/pr. Ride Tech HQ coil-over cut-away view. 1,000,001 Mile Shock Warranty! Ride Tech Shockwaves use the same shock design as their coil-overs, but with adjustable air bellows. Each vehicle requires different Shockwaves based on year, make & model, so contact us for the correct parts for your applications. 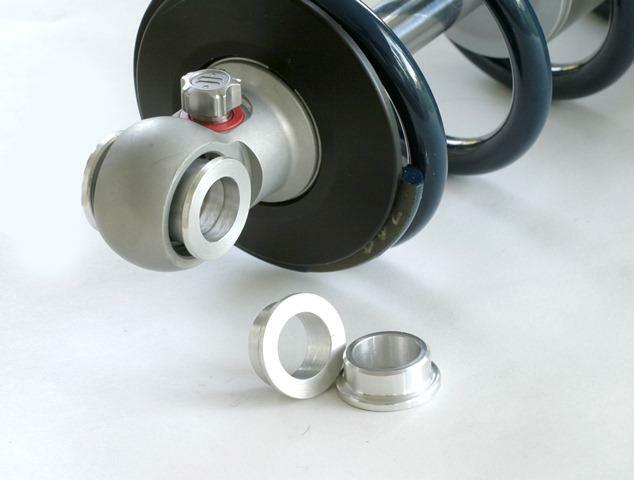 Available in HQ that allows rebound adjustments to the shock or TQ with single rebound adjustment and dual stage (high speed & low speed) compression adjustments. New Composite material with CAD-engineered reinforcing ribs is STRONGER AND LIGHTER than billet aluminum.This patented sealing technology with new, exclusive Snap-lock design allows easy replacement of the air spring. HQ ShockWaves, rebound adjustable Starting at $925/pr. 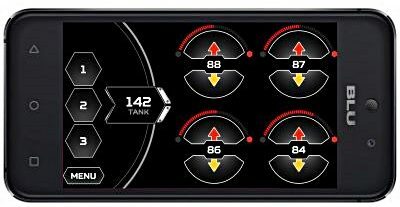 TQ ShockWaves, rebound adjustable, dual stage compression Starting at $1,950/pr. 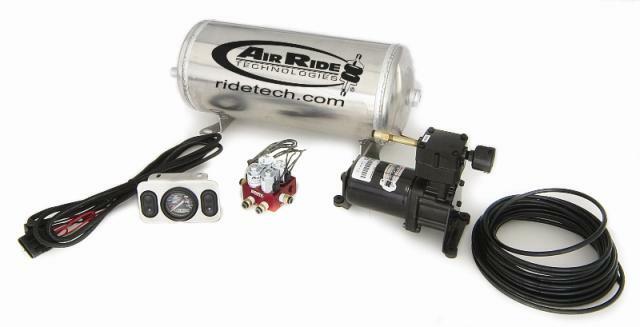 Ride Tech 2-wheel system allows control on the rear od a vehicle for weight variations Includes a dual needle analog gauge with separate control buttons, compressor, solenoids, 30′ of D.O.T. 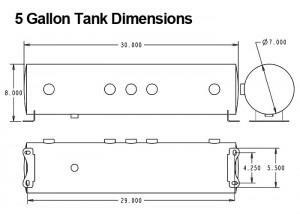 approved 1/4″ airline and an aluminum 2-gallon tank. 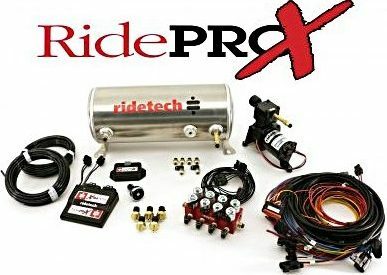 RidePro-X includes 3-position Control Module, weatherproof ECM featuring heavy duty mil-spec connectors, air pressure sensors, wiring harness, compressor, air valve, 60′ of D.O.T. 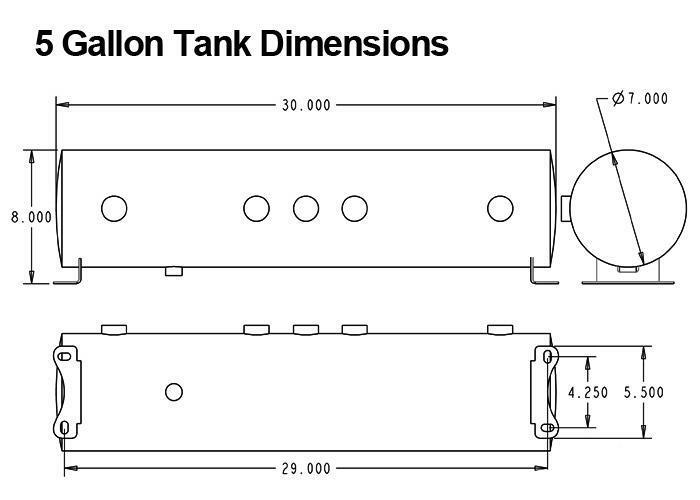 approved 1/4″ airline and an aluminum air tank. 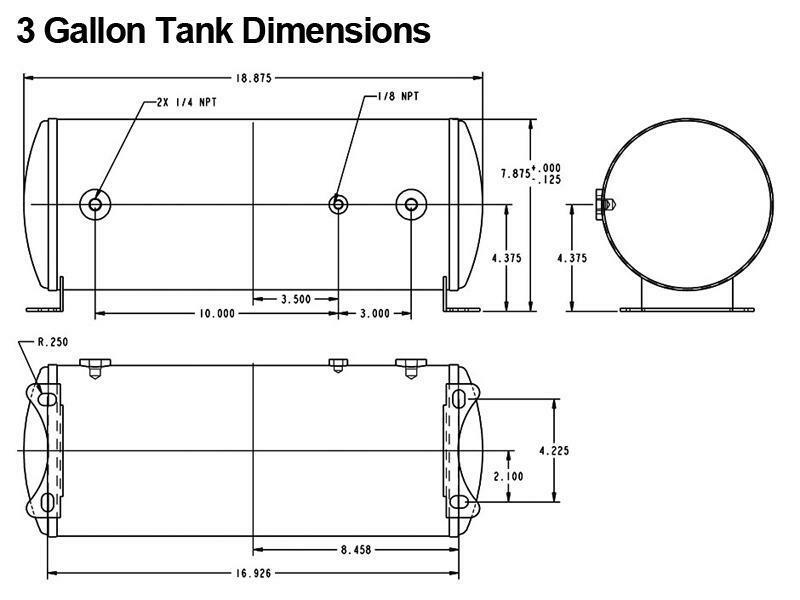 Tank dimension sheet listed below. New design for RidePRO-HP height measuring sensors 4-way System. 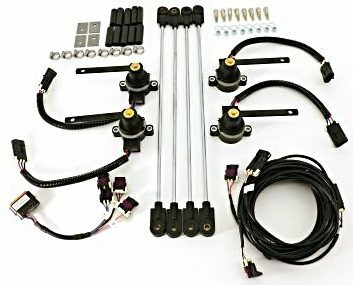 RidePro-Hp kit includes: 4 Height Sensors 4 Height sensor linkage kits (with steel linkage rods and rubber rod ends), Group harness, 1/4″ sensor bolts w/ Nyloc nuts & flat washers, mounting tabs, Heat shrink tubes and Installation Guide.